Newspaper clippings about residents fight against proposed new development of Freemasons Hospital. May 2003-Jan 2004. 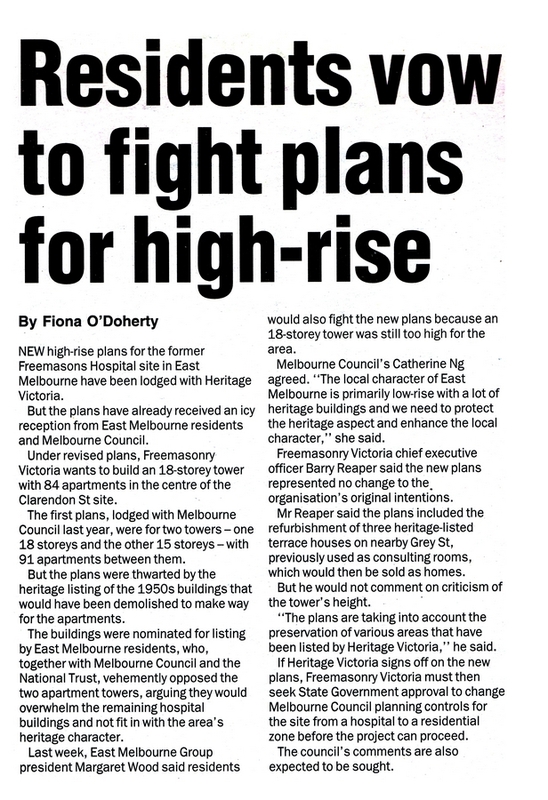 Subsequent articles on proposed sale of Freemasons.